This webinar will cover the RideDC project which allows Washington D.C. residents and officials to collect and view public transit data in real time. The webinar will feature DuPage County, Ill.’s transformation of its Election Process. The May 19 webinar will cover the Data Act and grant management automation. Derek Prall, assistant editor for American City & County magazine, sits down with Tucker Perkins, chief business development officer for the Propane Education and Research Council to discuss propane, its municipal applications and the future of the fuel. Voting day is Nov. 4. In the event you need any incentive to get out to the polls, here’s some encouragement from early voters. Last week, municipal and philanthropic leaders gathered in Atlanta for the Service Unites conference to share insights, strategies and resources to increase citizen engagement. 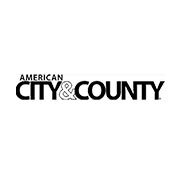 American City & County Publisher Bill Wolpin speaks with King County, Wash., CIO Bill Kehoe on staff efficiency regarding robust new citizen service capabilities. Hardwire, LLC has developed a hand-held bulletproof whiteboard that can be used as a portable teaching tool in schools and at staff and public meetings. Mattea Kramer of the National Priorities Project outlines the consequences of sequestration.